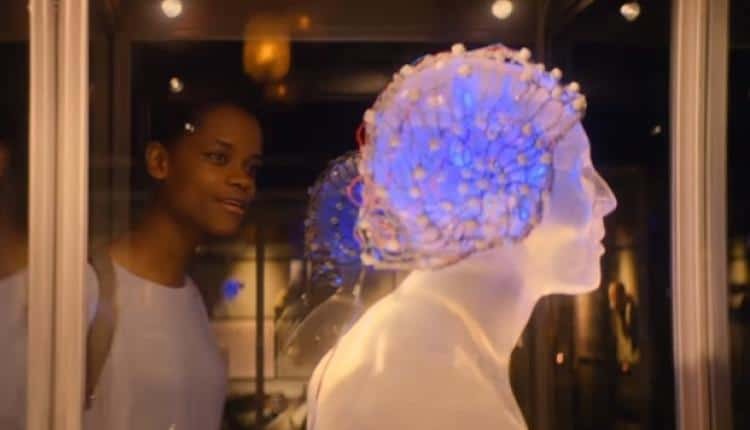 Black Mirror Black Museum Episode Analysis | Nerd Much? It is the human mind that cannot handle its consequences. Black Museum, the last episode of Black Mirror’s fourth season, is not a racist title. Black Museum refers to the title of the show, Black Mirror. It is, essentially, the Black Mirror Museum. Within the museum, Rolo Haynes has carefully collected items from at least two morally ambiguous episodes of the season: the lollipop from the first episode, the USS Callister, and the tablet from Arkangel. The events of both episodes are framed as crimes, helping the audience further cement in their minds that what happened was wrong, so wrong that it was punishable by law. The audience can go on thinking they were right in the first place. The latter is undermined when the crimes committed are not made clear. For all we know, the crime in USS Callister was not the abuse of AIs, but violating privacy laws. Arkangel’s crime might have had less to do with sabotaging a child’s emotional development, and more to do with beating someone over the head with a tablet. Both are perfectly valid crimes, but the context is so much more complicated than that. The crimes should not just be privacy and violence. 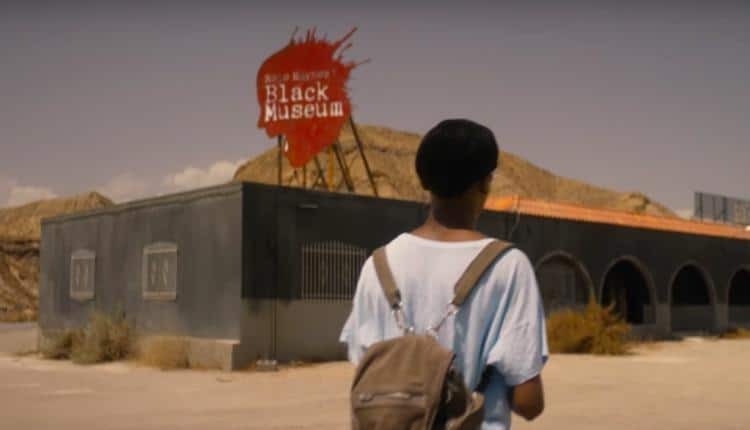 Without understanding what the crime really was, the audience is less sure that Black Museum agrees with their original assessment. 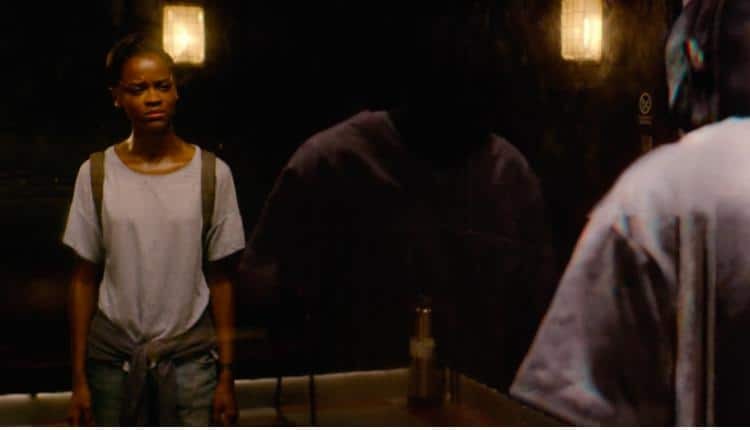 As with all Black Mirror episodes, Black Museum is so much more than a reference to earlier episodes. Within contains three short stories, all centered around one question: “is any technology worth the cost of its development?” Much like the medical knowledge we use today that was acquired very unethically in WWII. To answer this question, the episode introduces our main character, Nish. Needing to kill time while her car recharges with the best solar panel in history, Nish decides to visit the Black Museum. Owner and curator Robert Haynes invites her in, like a creepy carny. He was apparently a neurological research recruiter in the past, and he tells his story through the artifacts he has collected. The first is the story of The Pain Addict, a dark story originally written not by the creator of Black Mirror but by Penn Jillette. If you have ever been frustrated by your experience with a doctor, you have probably wished they could feel your pain as you do. Diagnosis would certainly be a lot faster, and that idea is exactly what Haynes seduces Dr. Dawson with. There is nothing inherently wrong with the technology, it is the human mind that cannot handle its consequences. As Dawson endures increasingly worse pain, the more he finds himself getting high off of it. Dawson becomes addicted and his dosage will never be high enough. He soon becomes so desperate he murders someone for that next high. In someone else’s moment of death, Dawson stays, perpetually in a coma of bliss. This story is less about any kind of shock value and more about the phrase “the road to hell is paved with good intentions.” The road, in this case, leads to the ideal technology that can store a consciousness after the owner has died. Unlike San Junipero, Haynes’ road ends on the technology that can transfer a consciousness to another person or an inanimate object. The latter is Haynes’ next story, a stuffed monkey. A mother that went into a severe coma too early was first transferred to her husband’s mind. Her presence became too much for the husband to handle and eventually, her consciousness was transferred from the husband’s mind to a stuffed monkey. As horrifying as that situation sounds, it is even worse when Haynes makes it clear that the mother has only two modes of expression: happy and sad. Though the stuffed monkey tells a good horror story, it has much the same message as The Pain Addict. The ideal technology has been achieved, but there are far too many flaws. Having a whole other consciousness inside your head, without the ability to turn it off, defines a mental illness (ie Split Personality Disorder). It is unhealthy even for the most compatible of people, there will eventually be problems. For example, there will be incidents where each party is in a drastically different mood than the other. There is never a reason for one mood or another, but it is a situation that is difficult to deal even between two people who are not in each other’s heads. Again, technology has its flaws and how humans deal with those flaws, defines whether or not that technology improves quality of life. Haynes’ last story is nothing more than a curator scrabbling desperately for something that will keep the money rolling in. It is cruel and Nish’s vigilante punishment for Haynes is entirely justifiable. There is no reason to linger on the ethics of torturing an AI when the entire Black Mirror series has worked so hard to teach us that sentient and self-aware AI are people too. Nish is not only a victim of Haynes’ crimes but also a participant in the technology he helped develop. As such, Black Museum comes to the conclusion that technology is worth the cost of its development. Previous wrongs (like those in USS Callister and Arkangel) should be amended by punishing those responsible for the abuse of technology (much like Dr. Dawson was eventually arrested). Whether or not that is the right conclusion, is completely up to you. Want more Black Mirror thoughts to chew on? Check out all of our Black Mirror Season 4 analyses here.